Soul Action is looking to form partnerships with businesses, charities, churches and individuals; people who are willing to offer time, expertise and finances, to see South Africa transformed. Soul Action is a member of Do it 4 Charity, an online giving platform that enables South Africans to make a donation to Soul Action’s work online, by credit card, through a SSL secure system, via EFT, or Internet Banking. Click here to visit our giving page. Please complete one of our Standing Order and Gift Aid forms; downloadable here in PDF or WORD formats. 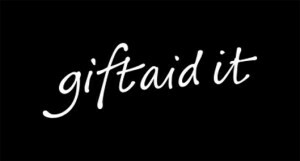 AoG Mission, one of our UK partner-organisations, have agreed to act on our behalf and claim back the Gift Aid on your donations, which means Soul Action South Africa benefits by an extra £25 GBP per £100 GBP donated! You can deposit funds directly into Soul Action South Africa’s UK-based account, regardless of where you’re based in the world. Soul Action is partnering with Access Media and Virgin Money Giving, a UK-based online giving platform that facilitates donations to Soul Action’s work. Click here to visit our giving page.